Click here for a version of the book online (in case you don't have your book). Sleeping car, also called sleeper, railroad coach designed for overnight passenger travel. The first sleeping cars were put in service on American railroads as early as the 1830s, but these were makeshift; the first car designed for comfortable nighttime travel was the Pullman sleeper, which was commercially introduced byGeorge M. Pullman and Ben Field in 1865. The sleeping car made its appearance in Britain and Europe somewhat later and was variously named with words meaning “car” and “bed” or “sleep,” as in French wagon-lit or GermanSchlafwagen. A typical 20th-century sleeping car has six bedrooms, each with two beds, in the centre of the car; and six roomettes, with single beds, at each end. The consequent low density makes for high fares, creating a basic economic problem for railroads seeking to compete with airlines. This problem led to new design efforts to provide larger capacity; one result was the development of the “slumbercoach” with numerous deeply reclining seats. What was it like to travel on the Orient Express? Watch the video below. ﻿The kidnapping of Daisy is based on a real kidnapping case during the same time period - the kidsnapping of Charles LIndberg's son. Charles Lindberg earined fame by being the first pilot to cross the Atlantic Ocean. HIs son was kidnapped from their home in Hopewell, New Jersey. Below are some links to help you learn more about the case. Having solved a complex case for the British Army in Istanbul, the Belgian detective Hercule Poirot is called back to London to work on a case. With the assistance of an old acquaintance, he books passage on the Orient Express, where he encounters one of his most vexing cases yet. Pierre Michel is the conductor of the Orient Express. An old acquaintance of Hercule Poirot and director of the Orient Express, Xavier Bouc books Poirot passage on the train and offers his perspective on all the passengers. An obstetrician by training, Dr. Constantine helps Poirot investigate the murder aboard the Orient Express. Edward Masterman is the butler to ruthless American businessman Samuel Ratchett. Having served in the army, Masterman sought a similar stature in civilian life by becoming a servant. Antonio Foscarelli is an Italian businessman working in the motor trade. In his late 20s, American Hector MacQueen is the personal assistant to Samuel Ratchett. MacQueen is good with languages and paid well for his services. German maid, Hildegarde Schmidt is accompanying Princess Dragomiroff on the Orient Express. 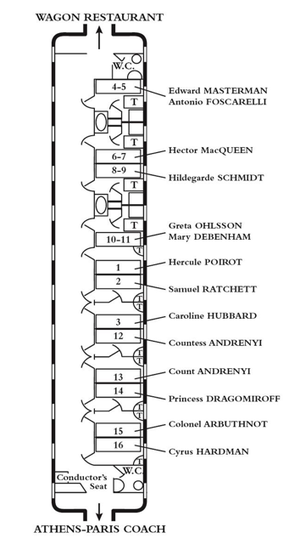 Greta Ohlsson is a Swedish missionary who prays fervently for the protection of childreGerman maid, Hildegarde Schmidt is accompanying Princess Dragomiroff on the Orient Express. 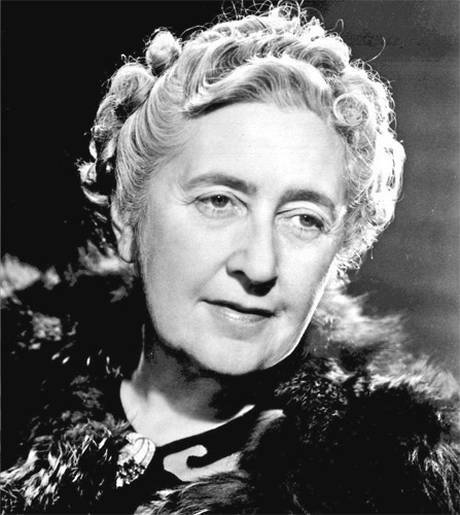 Mary Debenham is a governess who is spotted by Hercule Poirot with Colonel John Arbuthnot in Istanbul. Later, Mary and Colonel Arbuthnot are on the same Orient Express trip as Poirot. A ruthless American businessman, Samuel Ratchett is accompanied on the train by his assistant Hector MacQueen and butler Edward Masterman. When Ratchett offers Hercule Poirot money in return for protection, Poirot refuses. Caroline Hubbard is a pushy American woman, often expressing a quip or complaint during the course of the train ride. Countess Andrenyi is the young wife of Hungarian diplomat Count Andrenyi. 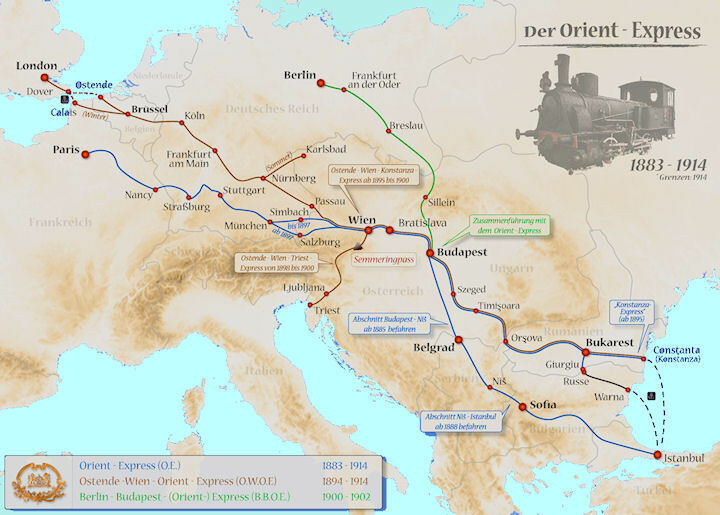 Hungarian diplomat Count Andrenyi is aboard the Orient Express with his young wife. Hercule Poirot first encounters Colonel John Arbuthnot and governess Mary Debenham while in Istanbul, and later encounters the mysterious Arbuthnot on the train. What secret is this military man trying so desperately to hide? Several places are mentioned in chapters 1 - 3. La Sainte Sophie - was an early Christian church and later an Eastern Orthodox church. It was made into a mosque in 1453 by the Turks and changed into a museum in 1935. It is in Instanbul, Turkey. It is often said to be one of the greatest, and most beautiful buildings in history. La Sainte Sophia was rebuilt by Tradt, an Armenian who was sent by Byzantine officials, after a big earthquake hit the area. 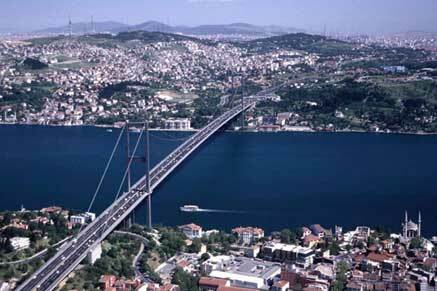 The Bosphorus - is a strait that forms the boundary between the European part of Turkey and its Asian part (Anatolia). 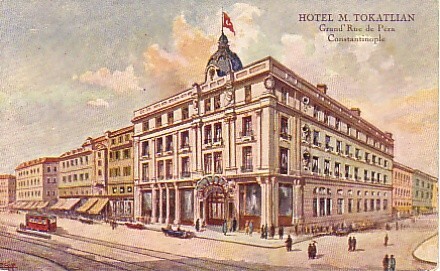 It connects the Black Sea with the Sea of Marmara.